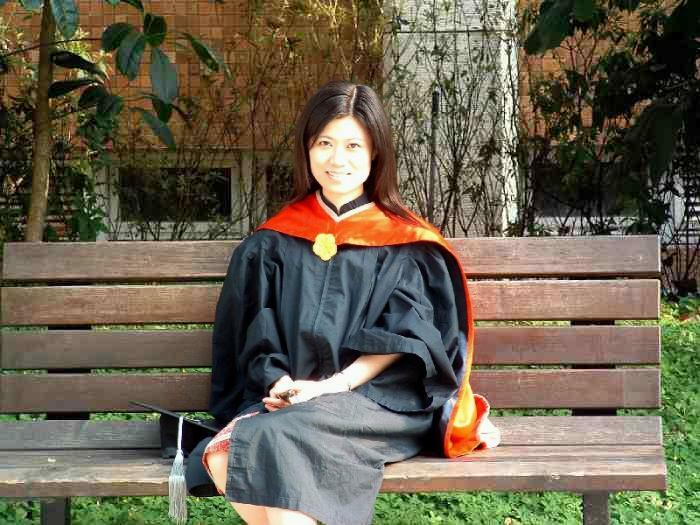 Fabian sent us some pictures of his cousin Yi Chun upon her recent graduation with a Master's Degree. 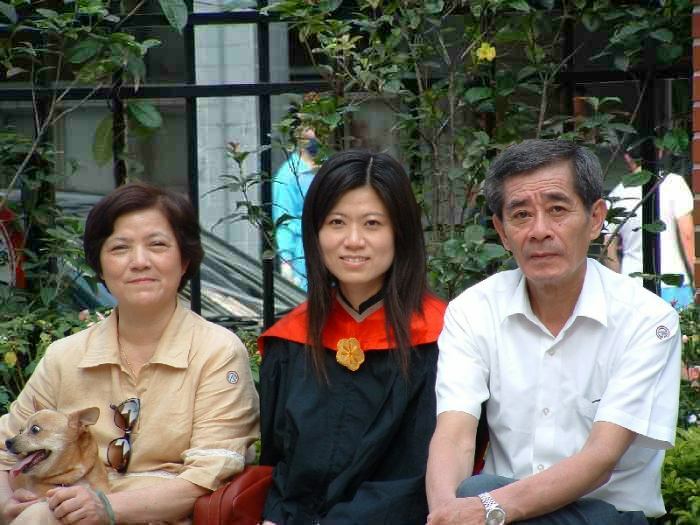 Here's Yi Chun with her parents, Angie's Oldest brother and his wife. I think they've got a right to be proud! Poor Fabian said he was jinxed in his college "career". 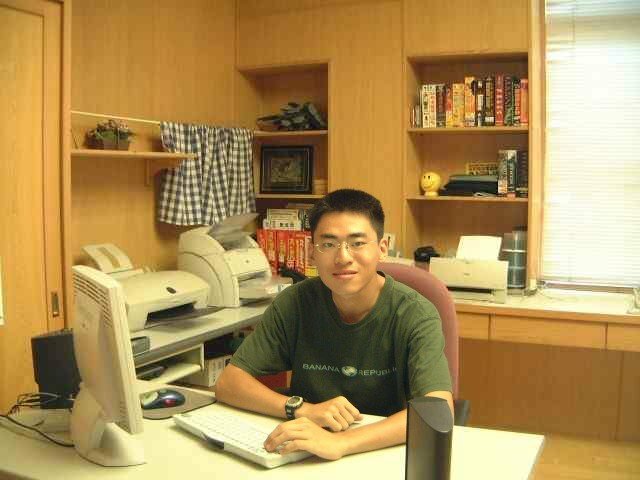 Just after entering college at Taichung, the worst earthquake in recent history struck. As a result, much of the normal college festivities had to be dispensed with while things were rebuilt. 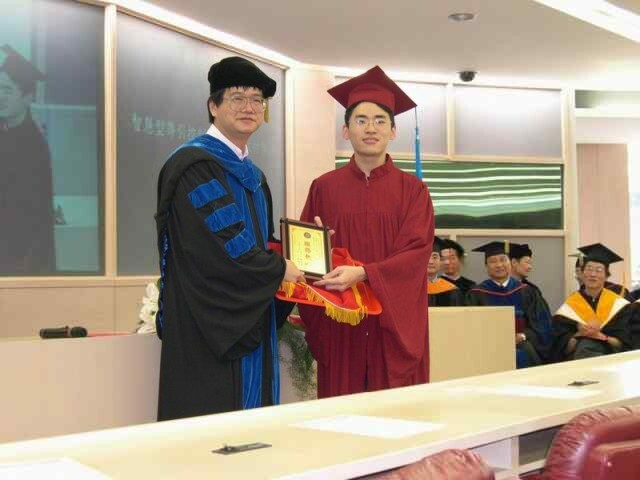 Upon his graduation shown here, SARS was the culprit, and no one wanted to participate in crowded public activities. As a result graduation was a muted affair without even the normal family attendance! 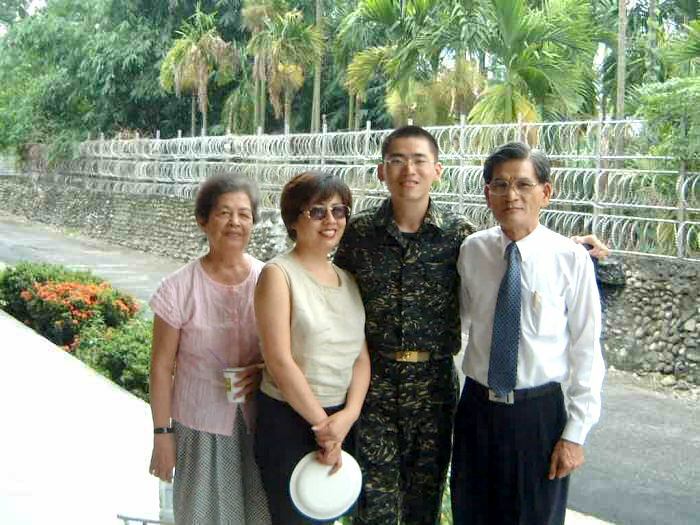 Almost immediately after graduating from College, Fabian was called to do his mandatory military service, and he was picked to be in the Marines. Here his grandmother, mother, and father visit him on one of his first breaks in basic training. Basic training is over, and thus far Fabian's been lucky to be assigned to a base near his home. Here he is home for a weekend. That marine training is sure making him a physically fit young man.